To ensure every child has a healthy start, a fair, and safe head start in life towards a successful passage to adulthood. To empower children youth and families by providing access to health care, quality education, and positive character development. 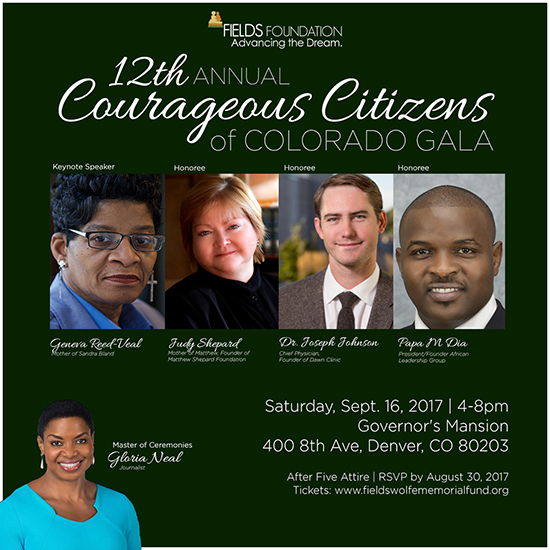 Fields Wolfe Memorial Fund is a non-profit organization committed to shaping knowledge and fostering civic engagement throughout the State of Colorado. The mission of the Fields Wolfe Memorial Fund is enlighten, encourage and empower youth and to reduce victimization of those harmed by crimes. The Memorial Fund was founded in memory and honor of Javad Marshall Fields and his finance', Vivian Wolfe, both graduates of Colorado State University. Javad was loyal and dedicated to his friends who came in all cultures, beliefs and backgrounds. In June of 2005, Javad was a key witness for the prosecution in the trial of the murder in 2004 of his business partner and friend. Javad witnessed the defendant leaving the scene of the crime. Javad cooperated with law enforcement, however he was never offered or provided any information about witness protection. 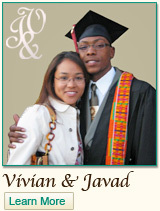 On June 20, 2005, less than a week before the murder trial was set to begin, Javad and Vivian were shot and killed in order to prevent his testimony. After becoming victims of this violent crime, the families of Javad and Vivian have made victim advocacy and justice a priority. 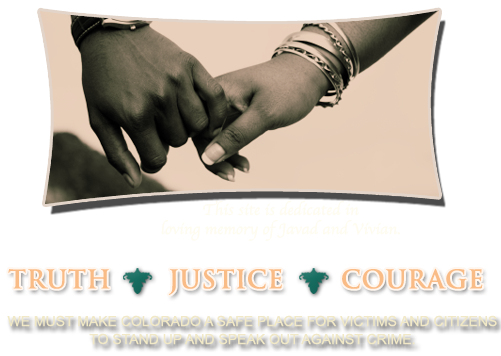 Their mothers have worked with legislative and governmental leadership in Colorado to strengthen the State’s Witness Protection Program. Their efforts resulted in new laws to raise awareness surrounding witness protection and public safety. Every year thousand of deserving high school seniors suffer the financial burden of paying for a college education. The Fields-Wolfe Memorial Fund is dedicated to providing financial support to students active in the school and community. Losing a loved one to violence is tragic. We are resolved to provide all citizens with the confidence to step forward as witnesses, knowing they and their families will be safe and protected from the retribution of criminals. © 2010 Fields Memorial Fund. All Rights Reserved.